In the US, World View Enterprises says it is a step closer to launching commercial balloon flights to the edge of space, having made a test flight to an altitude of about 37 kilometres. The company hopes to begin flying tourists to near space in 2016. 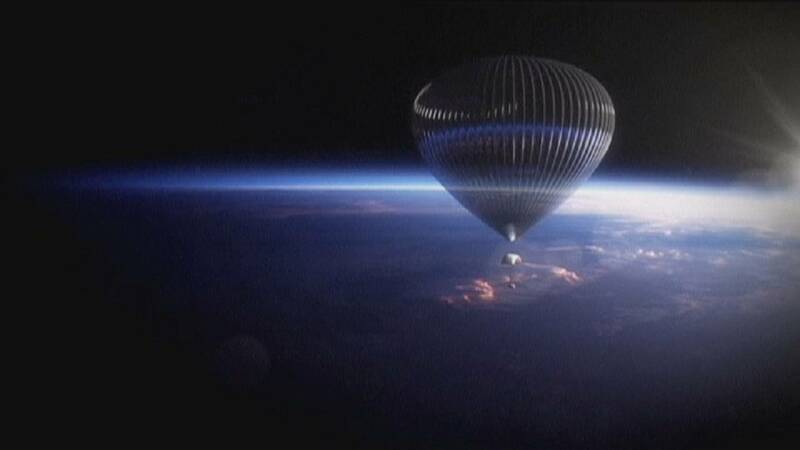 Flight capsules will be propelled by a 1.1 million cubic-metre helium balloon and a steerable parafoil. The company says it will take around 90 minutes to two hours to reach peak altitude. The parafoil flight system was particularly successful. After climbing to approximately 37 km, the vehicle began its descent to 15 km, where it was released from the balloon and guided back to Earth with the parafoil, a parachute-like, steerable wing. It was the first time a parafoil has been successfully deployed from that altitude. The view is sure to be breath-taking, but then so is the price tag. Tickets for the ride will cost a cool 75,000 US dollars (55,000 euros).